Whether you are looking for new customers or want to stay in touch with existing ones, we’ll get your message out there with a spot-on social strategy and thumb-stopping Facebook and Instagram advertising campaigns. You’ve heard it all before. Everyone tells you social media is the perfect way to boost your business. “Get a Facebook Page!”, “Post on Instagram”, “Do a Facebook Live”, “Update your stories”. And the master of them all – “use Facebook advertising”. Well, let me tell you a little secret. Social media and paid advertising alone are not a quick route to business success. Funny words to hear from a Facebook ads strategist/social media manager, I know. But when you get to know me you’ll realise that I’m all about honesty and telling it like it is. It’s true that social media and paid social advertising can have an enormous effect on your business. Not just in maintaining and enhancing relationships with your existing customers, but also in forging genuine connections with potential customers. And it’s those REAL relationships that lead to sales. But that only happens when social media and social advertising are used as part of a consolidated marketing strategy. That’s where I can help. I’m a trained and experienced Social Media Manager and Facebook Ads Strategist with a track-record of helping businesses harness the power of social media to get their voices heard. Working together, we can take your business to the next level. We provide 2 streams of services to guide you through the digital maze. 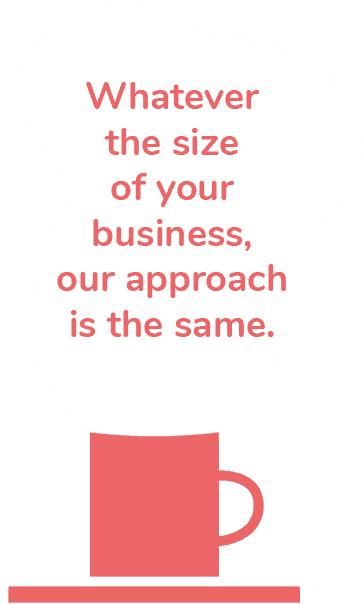 Whatever the size of your business, our approach is the same. First, we have a cup of tea with you. We ask you to tell us a story about your business, and what you want it to become. We listen. We take notes. We nod a lot. We think. Then we’ll mull over what you’ve said, and maybe even ask you a few more questions. We’ll come up with a plan on how to achieve your aims. Possibly there might be more tea! Once you’ve decided what you want, we’ll come up with a detailed strategy. It might be training or support, or it might be that you want to eliminate all the stresses and worries and have us take care of everything for you. Whatever you decide, you’re always in charge. And we’ll always be around to chat. We’re always at the end of a phone and more than happy to let you know what’s going on and how the plan is progressing. For us, success is all about communication. And, if you want a chat and a cuppa, we’ll never say no.